One of our most frequently asked questions is “why can’t you just get my logo from my website?” When it comes to design and print you may be asked to send High Resolution artwork, well what exactly does that mean? To fully understand the difference between a high resolution image and a low resolution image we need to look at the key component of what makes an image high or low resolution. The first step to knowing the difference between high-resolution and low-resolution images is to understand what DPI means. DPI stands for ‘dots per inch’ which is a measure of the individual dots that can be placed within the span of one inch. The more dots per inch, the higher-resolution the image. As you can see from the image above, 300 dpi is the magic number, anything above 300 dpi would be considered High resolution and anything below 300 dpi would be considered Low resolution. Now that you have a basic understanding of what dpi means we can dive a little deeper into why some images are not suitable for print. You may be asking yourself, well why can’t I just take a small image and make it bigger? The answer to that question is simple, when you have a small image that only contains 72 dots per inch and you increase the size of the image you are only making those 72 dots per inch bigger, you are not adding more dots to the image. As you can see from the image above when you start with a 72 dpi image pulled from the internet and increase the size the ‘dots per inch’ (dpi) become larger in size but the image becomes blurry and unclear; not the kind of image you want on your printed materials. Now you may wonder “well why would you ever use a low resolution photo?” Have you ever visited a webpage that seems to take forever to load and you get frustrated and leave the page before you find what you are looking for? Low resolution images are best suited for internet usage because they typically are a much smaller file size, they contain less information and therefore can be uploaded or downloaded much faster than high resolution images. Can I get high resolution images online? Sure you can. There are a few great resources for obtaining high resolution photos online. Many of our clients and our own graphic designers prefer shutterstock.com. Shutterstock.com is a website that offers High Resolution images that you can download straight to your computer for a small fee. 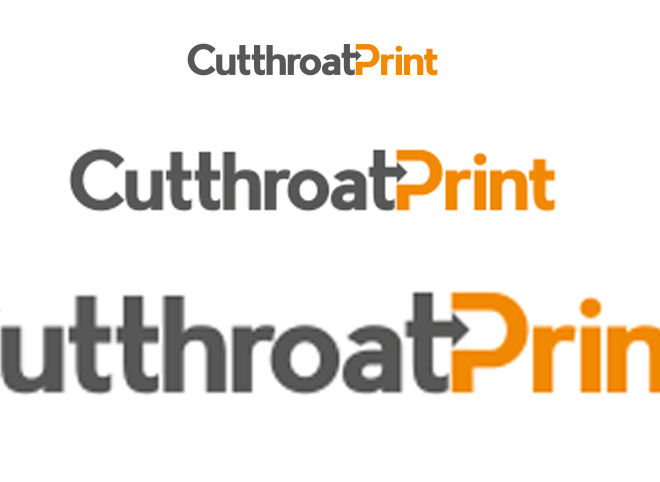 Here at Cutthroat Print Consulting we can find the perfect photo for your project or you can simply browse Shutterstock.com and provide us with the id number and we will download the file for you for only $10 per photo. These photos are all high resolution and are perfect for print materials if you cannot provide your own high resolution photos. We prefer that you always send high resolution photos and logos, as this will ensure that your materials print crisp, clear, and professional.